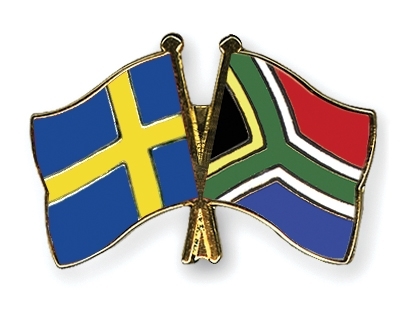 On 5th December 2013, the Swedish Embassy hosted a meeting of a wonderful cross-section of role players in the South African Transport authorities and people from the private sector to share with them the way they have reduced road carnage in their country by 97%! Pat Allen was invited as a member of the Road Innovation Group to the Embassy of Sweden to hear how the Swedish Government achieved this remarkable result. We were inspired by their ideas and also contributed ideas from our side. Their techniques include strand wire divisions between two sides of the roads in all places where frequent collisions occur; instead of installing speed cameras, they call them safety cameras which are on for only 30 minutes a day at random times. This is to stop the “cash cow” aspect of fining the public, and to put the whole emphasis on safety; their traffic police must have a degree in criminology before they will be accepted, as well as certain physical attributes; when members of the public are found to be driving without number plates, after checking the validity of the vehicle registration, they actually manufacture number plates in the police vehicles and fit them to the vehicles; road design and technology reduces crashes radically by having frequent traffic calming devices; intense studies after every fatal crash until the authorities understand what happened and then take appropriate steps to avoid it happening again, takes the responsibility off of the driver and gives it to the road authorities to make it virtually impossible to have a fatal crash is how they have achieved their enviable results. Remarkable! Their plans will certainly benefit the South African situation. Imagine – 14 000 fewer deaths on South African roads, giving 14 000 families their loved ones, their bread winners and the country their talents. Imagine what a saving of R309 billion would mean to the economy where we are trying to provide decent facilities for the poorest of the poor and infrastructure for the country, such as decent hospitals, schools, housing, police stations etc. We thank you Sweden for your generosity in sharing your secrets with us.